Ah, parenting. So many opportunities for life lessons around every corner. Even on November 1, say, when your kid is busy sorting their overwhelming candy stash from an overwhelming trick-or-treating haul. If this income was in money, instead of candy, there would be a tax. So why shouldn’t your kid get taxed on this delicious income, with an added bonus for you? To that end, paper and letter board company Letterfolk (“an American brand dedicated to creating meaningful products inspired by simpler times”) offers helpful Halloween candy tax documents on its website for post-trick-or-treating. It has helpful listings so that your kid can inventory their candy by category—Skittles, 100 Grand, Airheads—and then calculate how much they have to fork over in “tax.” So if your kid has 20 Snickers, and a 10-percent tax rate, you, the parent, get two. I mean, fair enough. 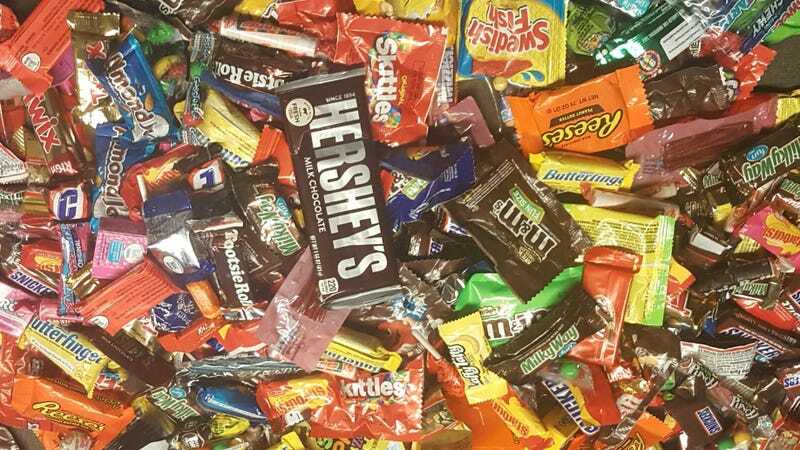 My kids are pretty generous without mandatory taxation, and have already thrust handfuls of my favorites at me—Mounds and Snickers (plus, they literally have more candy than they know what to do with). But I think a better thing to do with that “tax” would be to up the rate to 30 or 40 percent and then donate it—like to the Soldiers Angels organization, sending candy to the troops. That way, the kids are learning about taxes and also generosity. Plus, it gets more candy out of my house.